Jadeja will find it difficult to pick sides at home with his wife and rest of the family being on opposite ends. The season of elections has also arrived as the Indian Premier League (IPL) 2019 is in full swing. Currently, Lok Sabha 2019 elections are being held all over the country and with it, even the cricketers are getting involved in politics as well. Recently, former India captain Gautam Gambhir joined BJP, while Virender Sehwag quashed rumours of following his fellow Delhi and India teammate’s footsteps and joining the reigning political party. On the other hand, Indian all-rounder Ravindra Jadeja’s family is making headlines as his house is potentially a minefield. Jadeja who was named in the Indian team for the World Cup 2019, will have a decision to make at home. His wife Rivaba Jadeja, who was earlier the chief of right-wing organization of Kashtriya community Karni Sena’s women wing, which was famous for protesting the release of Hindi movie Padmavaat. Rivaba, on March 3, joined Bhartiya Janta Party, during PM Narendra Modi’s visit to Jamnagar Gujarat. Rivaba and Ravindra got married in 2016 and she spends her time between Jamnagar and Rajkot, where the Jadeja’s run a restaurant. In another development, it was reported that Ravindra Jadeja’s father Anirudhsinh and elder sister Naynba have joined the rival faction of Congress just days before polling begins in Gujarat. Given that Rivaba is a BJP leader now, Ravindra might find himself choosing sides with all the politics in the house. Anirudhsinh Jadeja and Naynaba joined the Congress party at an election rally in Kalavad city of Jamnagar district, where the party leader Hardik Patel, famous for his Patidar Andolan was present. Also present was Congress party’s candidate from Jamnagar seat, Mulu Kandoriya. 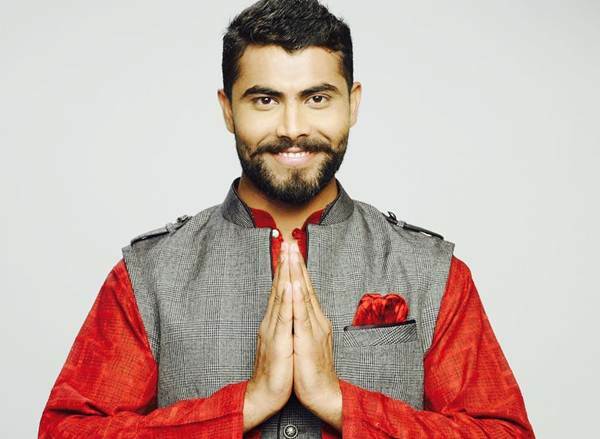 Meanwhile, apart from this, Jaddu will be a happy man as he was chosen to be part of Team India’s 15-man squad to travel to England and Wales for the upcoming World Cup. The left-arm spinner was chosen as the third tweaker in the squad with Kuldeep Yadav and Yuzvendra Chahal being the other two tweakers in the squad. Apart from Jadeja, Dinesh Karthik and KL Rahul were surprise inclusions in the Indian squad, which will be captained by Virat Kohli and Rohit Sharma will be his deputy. India play their first match in the World Cup 2019 against South Africa On June 5.